Price Medical offers outstanding HIV specialty and primary care. An individualized treatment plan is developed and tailored to meet the patient's lifestyle and health care needs. Minimizing side-effects and choosing the most convenient HIV medication regimen are primary concerns. With targeted anti-viral therapy and regular medical care, HIV is generally a manageable chronic disease. In fact, recent studies demonstrate HIV-positive people can have normal life spans with appropriate and continuous expert treatment. Routine physicals exams, urgent care visits, management of complex medical conditions and expert HIV care - all under one roof. Should referral to other specialists be needed, Price Medical collaborates with physicians who are well versed in the sometimes unique needs of HIV infected patients. Dr. Price and Dr. Nabha—internal medicine physicians with a sub-specialty in infectious diseases, are well-trained and knowledgeable of the most up-to-date developments in HIV care. Price Medical offers accurate and comprehensive testing and access to the most advanced therapies. Founded in 1997, Price Medical is well known and respected for its excellent care and treatment of people living with HIV. Our entire team shares a common goal of delivering the best HIV treatment available. With more than 1 million HIV-positive people living in the U.S. today, we work hard to prevent further infections. 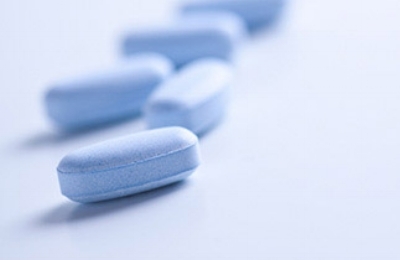 PrEP (Pre-Exposure Prophylaxis) with daily Truvada has been proven to be highly effective at preventing HIV infection. PEP (Post-Exposure Prophylaxis) is available for patients concerned about a high risk HIV exposure within the past 72 hours. Also, it is now known that appropriate anti-viral therapy for HIV infected patients prevents spread of HIV to uninfected individuals. Price Medical—A compassionate, patient-centered practice, where you’ll receive the highest quality HIV care available. Contact us today at 202-463-0220 or info@pricemedical.com. New to Price Medical? Learn more here.